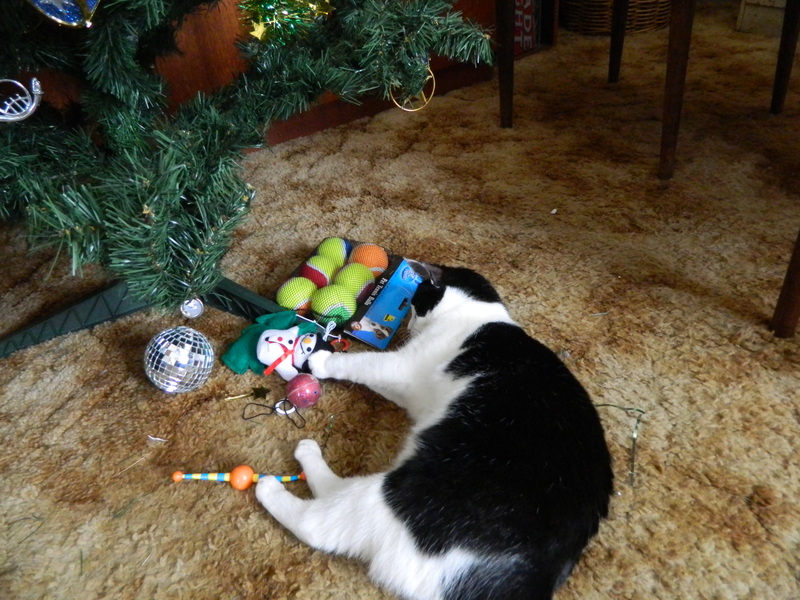 Photo Thursday – And the winner is….. 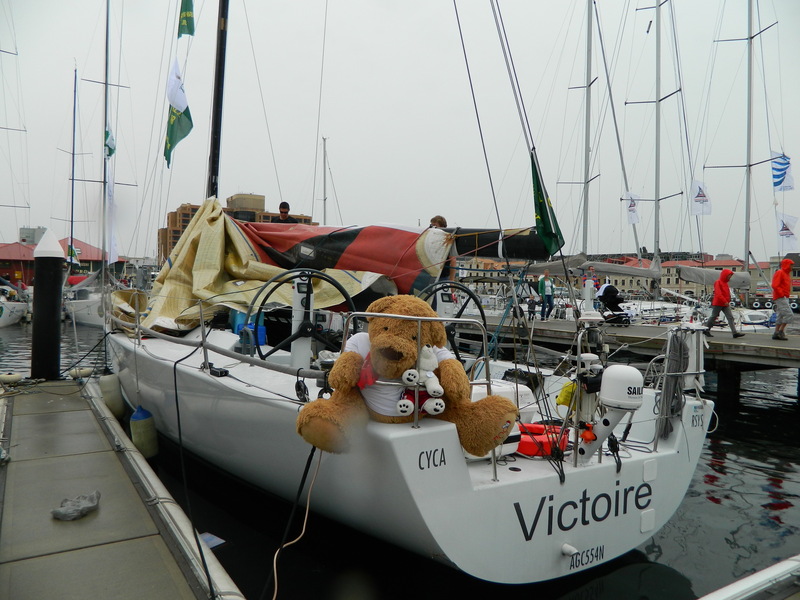 Overall winner of the Sydney Hobart race on handicap was Victoire. 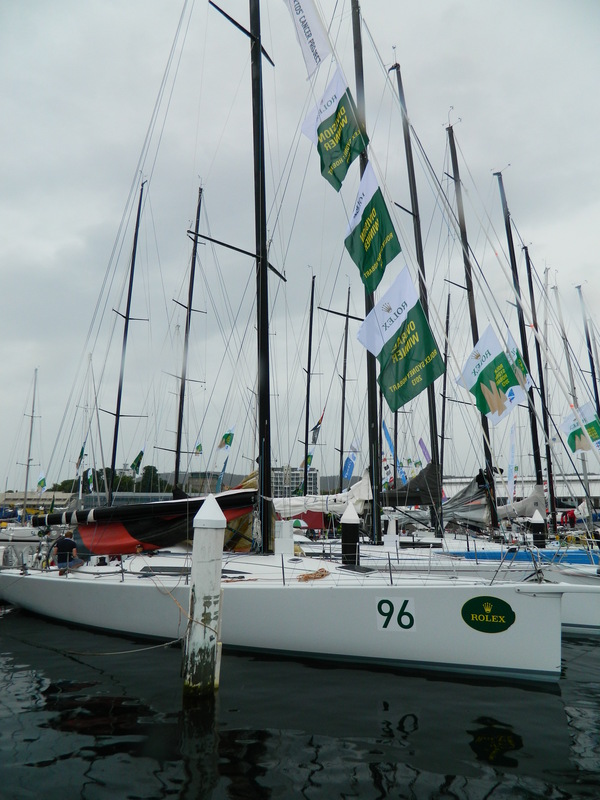 Wild Oats predictably won Line Honours. Author Taswegian1957Posted on 02/01/2014 01/01/2016 Format ImageCategories Photos, Sailing, Sport, Thursday PhotoTags 2013 Sydney Hobart Race, handicap, Sydney to Hobart Yacht Race, Tasmania, Tattersall's Cup, Victoire, Wild OatsLeave a comment on Photo Thursday – And the winner is….. I spend a good deal of my daydreaming time thinking about that elusive lottery win. Here in Australia we don’t pay tax on lottery wins, we don’t usually have prizes as high as $1 billion dollars either but as it’s all fantasy anyway we’ll say that there is and that I won it, not me and a syndicate of 19 other people, just me. I cannot even begin to imagine what a billion dollars is like. It’s too big a sum to imagine. When Hubby and I talk about what we would do if we won lotto he always starts talking about investments and being able to live off the interest for the rest of our lives. Well that certainly makes sense but it’s boring so I’ll skip over that and say that we are debt free and Hubby has made all the arrangements for our financial security that he wants. I want to think about the fun stuff, spending some of it! I’ve always said that if we were to become fabulously rich I wouldn’t necessarily want to start living like one of the jet set. I don’t want a garage full of fast cars a private jet or designer clothes. I certainly wouldn’t start trying to live life in the fast lane going to nightclubs and hanging out with the rich and famous because I really don’t care about that. After we have taken care of the needs of our closest family members the first money I would spend on ourselves would be on our house. It’s an old house and it needs work. 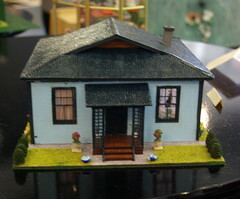 Yes, I know we could buy a much better house and maybe in time we would but I like this one. I have spent a long time thinking about how nice it could be repaired and redecorated and I would do that even if we didn’t stay because I want to see how it would look and because I would have a lot of fun choosing all the colour schemes and picking out what furniture we wanted. We have a big 3 car garage where Hubby keeps some of his hobby stuff. I’d have two-thirds of it turned into a proper man cave with proper walls and a ceiling, good lighting and heat in winter. I’d have storage shelves put up so he’d have all of his bits and pieces at hand. 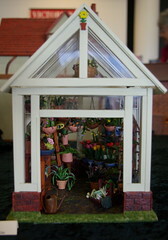 I’d treat myself to custom-made shelving to display all my dolls and hold my craft supplies. Our pets would get their own play areas too. There would be a cat enclosure outside with access to the house through a cat flap. Polly would be able to come and go as she pleased and I’d never have to worry about her getting lost, run over or hunting the local wildlife. Cindy, our fence climbing dog, would also get a secure area in the back yard with a kennel so that she could spend unsupervised time outside without me worrying that she’d gone off to chase wallabies, strayed into the farm or wandered onto the road. If we had decided that we didn’t want to move I’d like to buy the land behind us. When we first moved here there were four empty blocks of land at the back of us and behind that a farm. A neighbour used to graze her horse there and we’d often see it near our back fence. Later a developer came, bought the land, put up transportable houses, went broke and left. Well, once the land was mine I would wait for each tenant’s lease to be up and when they had moved I’d have the houses taken away because they are really ugly. I don’t really have any plans for the land. I’d just let it go back to nature. Maybe I’d offer it to anyone who wanted agistment for their horse. I don’t want a horse myself but I liked seeing one there. I expect we’d buy a new car too, not a luxury car, just a car that nobody else has ever owned and that we picked for its features ahead of its price. A practical car that you can put a dog in the back of. I don’t drive and I don’t see myself learning but I would be able to afford taxi’s or a car and a driver for a day if I wanted to go somewhere alone. There are some organisations that I’d want to support too. Amnesty International, Greenpeace, Oxfam, Red Cross, the Salvos and various animal charities would get regular contributions from me and I would no longer have to suffer the embarrassment of telling a charity collector that I couldn’t afford to give. I’d like to support our community in some way perhaps by some kind of fund to enable small businesses to grow and employ more people. I’d do this anonymously if possible because I wouldn’t want it to be a big deal. 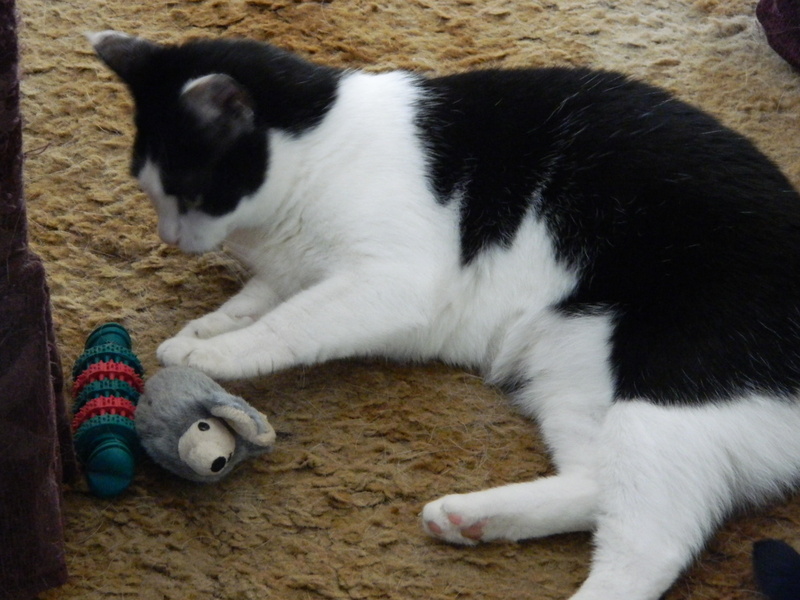 With a cat enclosure and a totally secure back yard we could foster rescued cats or dogs waiting for permanent homes. Travel is probably the one area where I would be very self-indulgent. There are so many places that I want to see and experiences I’d like. My billionaire status would mean that I could travel regularly and I would for as long as my health was good. Having money would mean being able to fly first class on long haul flights and not arriving stiff and sore from a cramped seat. 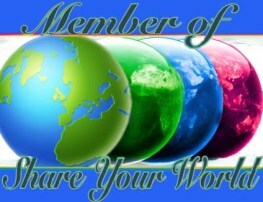 Every few months I’d set off with or without travel companions to see something new within Australia or overseas. I’d have such fun ticking items off the travel bucket list. Recently I read a great article about crossing the Atlantic on the Queen Mary 2. My sister and I would love to do that so that would be the top of the list I think. If I wanted to go to see a concert or a play I could buy a ticket, hop on a plane and go. If I wanted to see a sporting event I could go. If I wanted to visit friends or family in another state or another country I could go. I could have the pleasure of living quietly in the country but still enjoy what big cities have to offer. That’s how I would use my billion dollars, to have a more fulfilled life. Author Taswegian1957Posted on 29/12/2013 Categories Daily Prompt, PersonalTags "Daily Prompt", $1billion, Gambling, Lottery9 Comments on Daily Prompt: You’re A Winner! 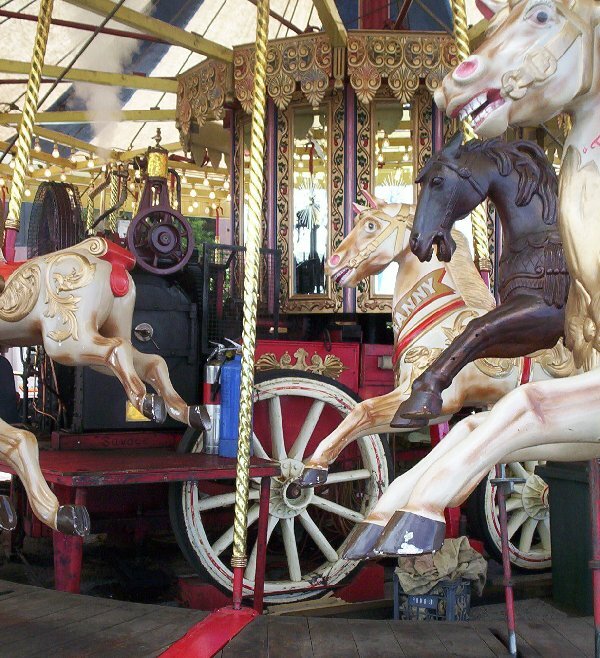 I think that I have liked Carousels and Merry Go Rounds since mum first put me on one on Clacton Pier when I was around four or five years old. However, as far as I can remember I’ve never ridden on a carousel horse because I always feel a little uncomfortable about climbing onto and balancing on a horse when it is moving because of my fear of falling. 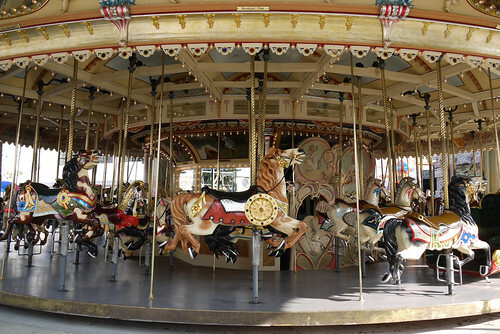 I read that the difference between a carousel and a merry-go-round is that a merry-go-round has a variety of animals and vehicles while a true carousel has only horses. Most people seem to use the terms interchangeably though. 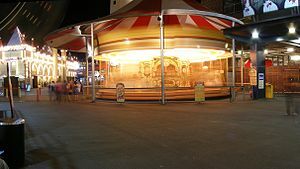 There are a few carousels still operating in Australia. I have seen a few of them but not all. 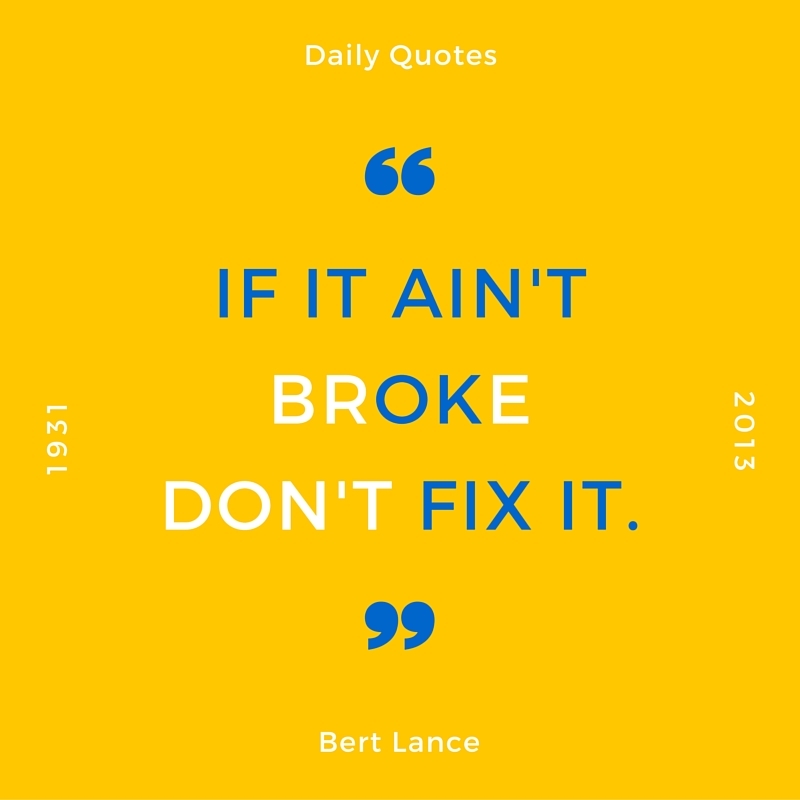 I hope to rectify that one day. I love the colourful horses, the artwork on the carousel itself and I especially like the ones that are still steam-driven. 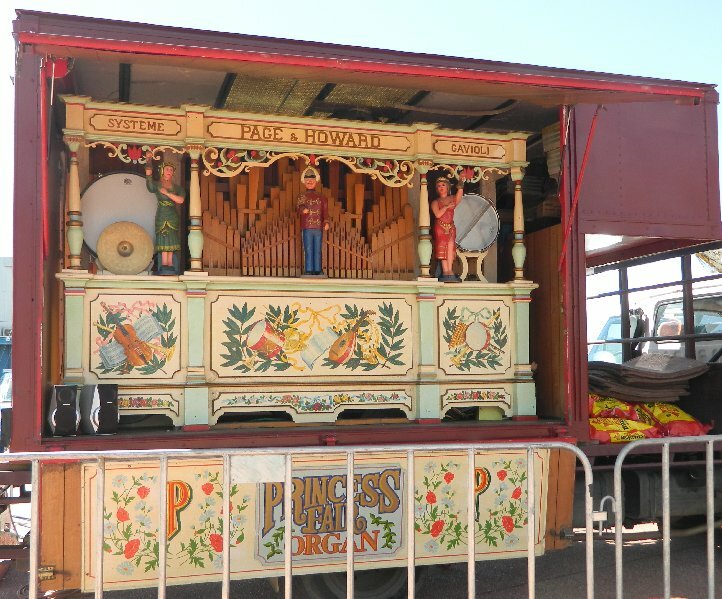 Sometimes the operator will also have a steam-powered organ as well. The following photos are mine except where credited otherwise. 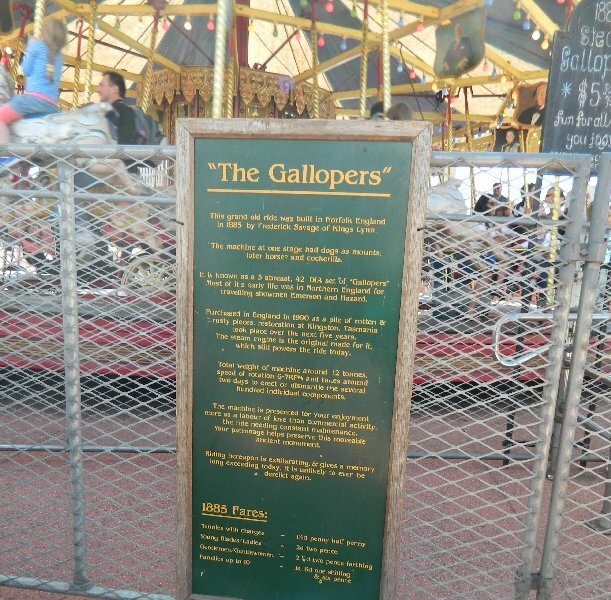 Hobart is the home of “The Gallopers” a carousel built in 1882 in Norfolk, England and brought to Australia in 1990 virtually as a wreck. It was restored in Kingston, Tasmania and I first made its acquaintance on the Hobart waterfront where it was a regular visitor to summer events. It spends most of its time now at the Botanical Gardens but I was able to photograph it on the waterfront recently during the Tall Ships Festival. The portraits on the upper part of the carousel are of famous people including Australian Prime Ministers. I must say that it gave me a bit of a turn to encounter Paul Keating as well as Malcolm Fraser and Robert Menzies to mention a few. The Gallopers on the Hobart Waterfront. Sydney has two carousels that I know of. One is at Luna Park on the harbour. I haven’t been to Luna Park for 25 years so I don’t know if the carousel they have now is the same one as they had then as the video I found shows installation of a new carousel and there is nothing about history. The other one is at Darling Harbour and I saw and rode on it last year when my sister and I were on holiday. As we are too old and fat to climb on to carousel horses we got into a car which was much more convenient for taking pictures. We laughed when we heard the music being played. The Wiggles “Big Red Car” and my sister commented that it was a good thing that her movie camera was not recording sound. Well the laugh was on us. It was! The Carousel at Darling Harbour. This carousel is another English built one. The steam engine was built in 1892 and the horses date back to around 1885. They were carved by the company of G & J Lines and Co. of London. I think this is the same company that went on to become Lines Bros. the famous toy making company. 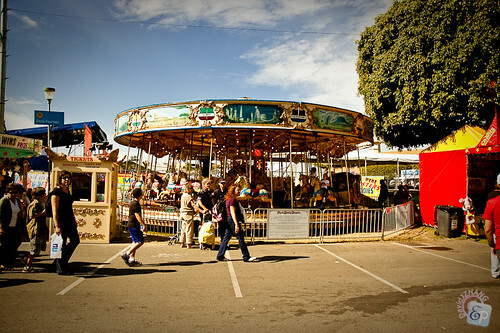 The carousel came to Australia in 1894 and travelled around to country agricultural shows all over New South Wales. It was at the opening of the Sydney Harbour Bridge, was a permanent part of the fun fair at Manly and made its home at The Rocks for a while. Now it is owned by the NSW Government. It has been at Darling Harbour since 1988. Semaphore is the home of another historic carousel which I saw many times during the time I lived in South Australia. 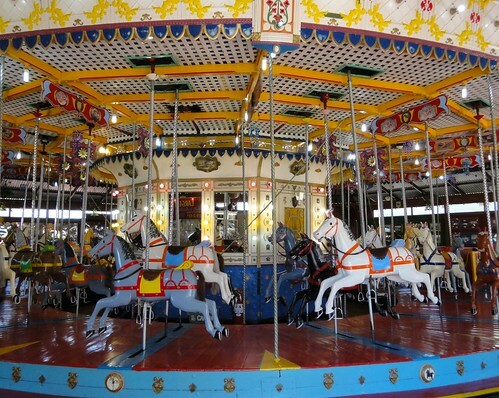 This carousel is believed to be the largest operating carousel in Australia with 40 horses. Apparently 36 is the more usual number. 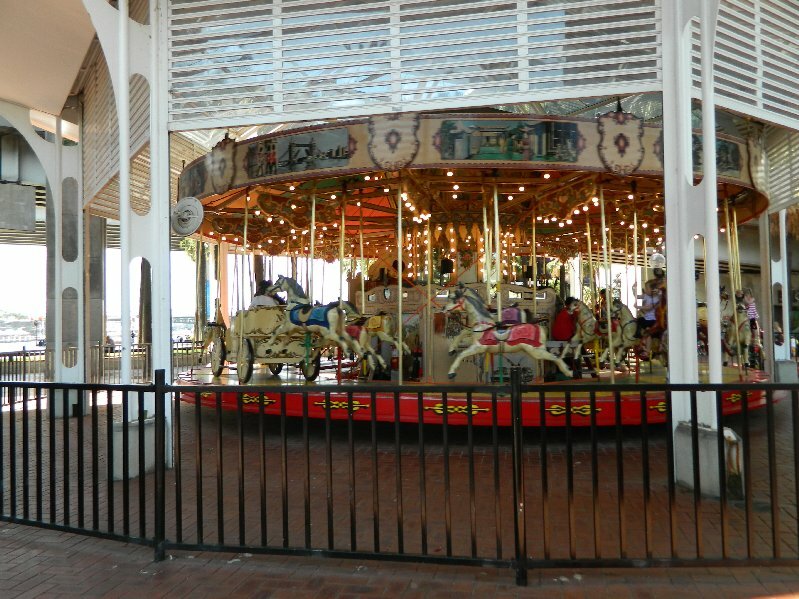 The carousel recently celebrated its 75th anniversary. Melbourne has a carousel at Luna Park which has just celebrated its centenary. It has spent 90 of its 100 years at Luna Park, before that it was in Sydney. 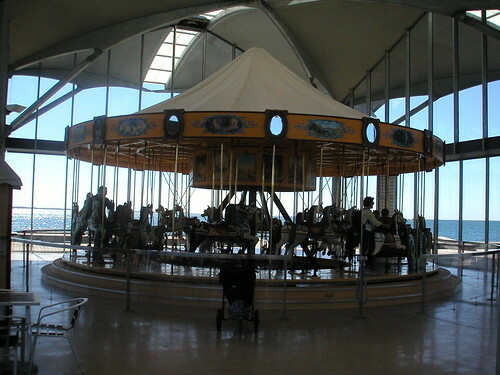 The carousel is an American made one from the Philadelphia Toboggan Company. It’s been quite a few years since I’ve seen this carousel. 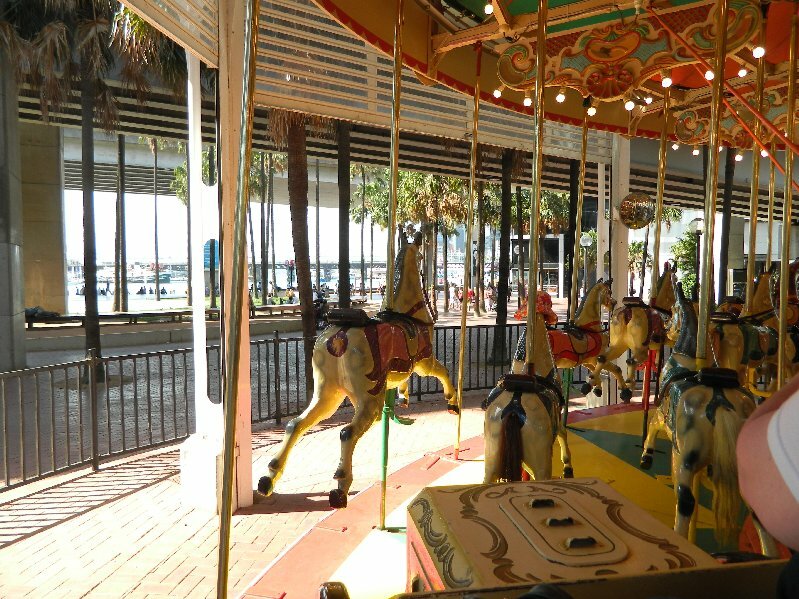 An hour away from Melbourne Geelong also has a carousel on the waterfront. This is one I still have to visit. 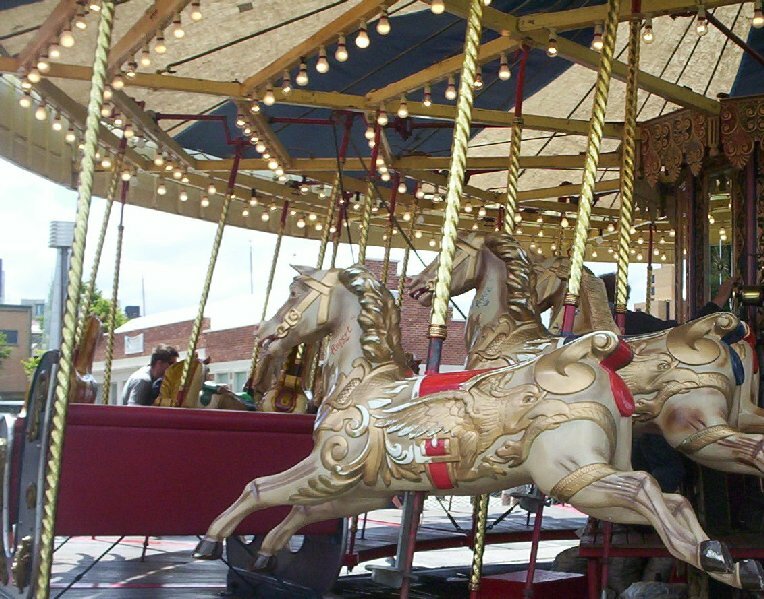 Perth Zoo is the home of another vintage carousel. It has been there since 1947 and originally had 20 horses and 2 boats but in 1968 the boats were removed and replaced by 4 more horses. 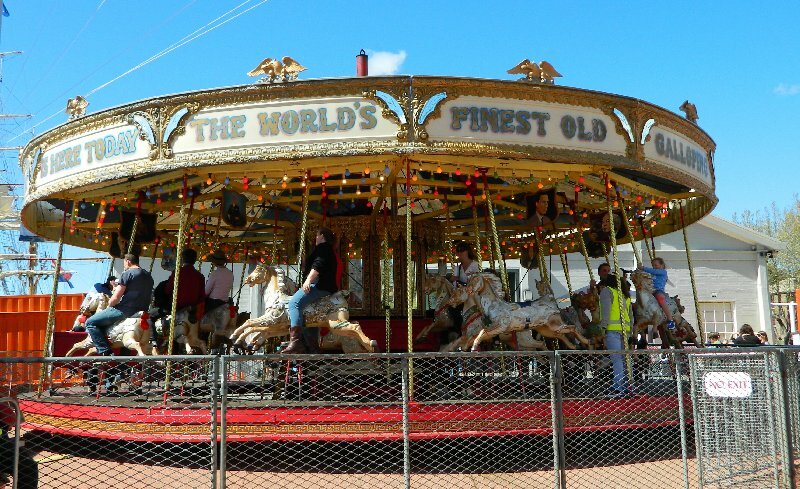 This carousel is the only known working one in Western Australia and another one on my list to visit. 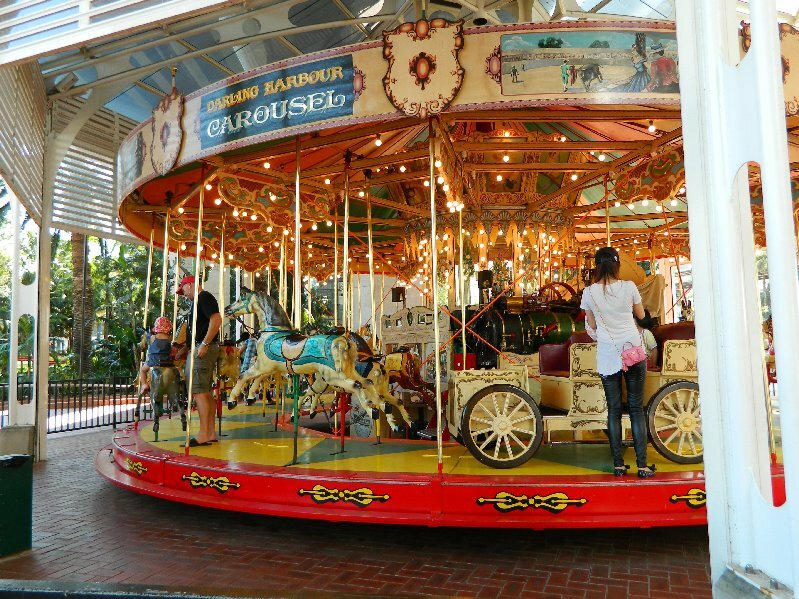 The only carousel I have read about in Queensland is one known as The Grand Carousel which has been a permanent feature of the Brisbane Exhibition or “Ekka” as they say up there. Canberra has a carousel too and I’m rather cross that we ran out of time to see it when we were there a few years ago. I will try to get back there one day as there are a lot of other things I want to see in Canberra. This one has both horses and elephants so technically it is a merry go round. It was installed on the St Kilda esplanade near Melbourne in 1914 and has been in Petrie Plaza, Canberra since 1974. It was designed and built in Victoria but the animals were imported from Germany and the poles came from Scotland.